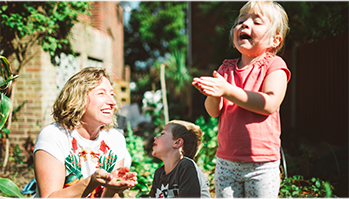 You have landed on my website because you want a baby, a healthy pregnancy, great nutrition advice for your family, and to grow a happy little eater who eats a healthy balanced diet. As a good Mum, you want to look great on the outside and feel great on the inside, a Mum that can handle the extra stress of being a parent. It is much easier to raise healthy children than to fix broken adults. 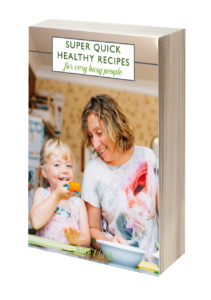 You are planning on happy mealtimes and you want to give your baby the best possible dietary start and know how to provide quick healthy meals that all the family can enjoy. You want to ‘Get Back to You’ and know the ways to protect your future health and find natural ways to tackle any health issues. You want results and you want to be able to do the best for your family and yourself but still enjoy a glass or two of wine, a coffee and a piece of cake. With my no-nonsense approach, I can give you nutrition advice, the practical help, steps and tips you need to achieve all this; advice that will fit into your busy and demanding schedule. From one Mum to another and Mum to be. I would highly recommend seeing Julie as she has a very holistic approach understanding the connection of treating the body mentally, physically and emotionally. Julie taught me how to get the most nutrition out of my food and the importance of balancing with supplements. It is simple and methodical to follow. Meeting Julie was the best investment I have ever spent in looking after myself. I attended Julie's baby led weaning course with my son just prior to him turning 6 months. Harry took to baby led weaning like a duck to water and I truly believe I have Julie to thank for that! I highly recommend Julie to everyone, her help and guidance were on the spot, she listens to all your needs and considers every detail when giving you advice. She has a vast experience with children which makes her even more special. She helped with our daughter's intolerance in just 2 sessions. Thank you, Julie!